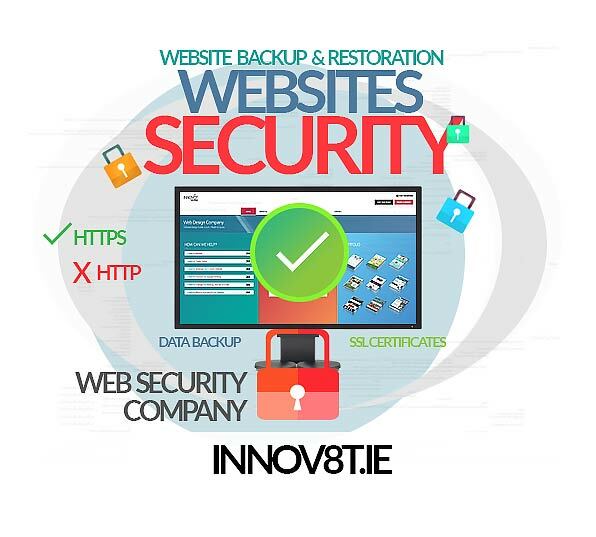 Web Security - SSL Certificates, Data Backup Services, Ireland. In a recent study by PWC, 52% of users said they are concerned about security when making mobile payments, with 57% saying they would only shop online with credible websites. When Google Chrome 68 was released it tagged all websites without an SSL cert as Not Secure. This change essentially made it mandatory for all websites to have an SSL cert. Google’s objective is to ensure internet users can easily recognize whether sites are safe or not and with the release of Google Chrome 68 in July of 2018 the Not Secure warning is now prominently displayed on the address bar. Since 2017, over 78% of all traffic from Google Chrome or MAC has been directed to websites that have been secured with an SSL certification. As part of the “HTTPS Everywhere” movement, Mozilla Firefox have followed suit and have started to make SSL certifications a minimum requirement. Approximately 60% of all traffic to your website is processed through Google and if your site does not have an SSL cert the “Not Secure” warning will be displayed. Upon further investigation the visitor will be told that data may be compromised as the connection is not secure. All sites without SSL certification are vulnerable to attack and malicious malware injection from a visitors’ ISP. Without an SSL certification your site will not benefit from Google’s ranking boost as Google priorities secure sites above those that are secure. With an SSL cert installed, your website will have access to more powerful tools for audio/ video streaming, geolocation and your site will be much more responsive. In fact, SSLs allow you to operate over HTTP/2, which can further boost your load times by 40%. Your site will give the visitors a better user experience, make them feel safe while browsing and show that you are a legitimate and professional business. All sites big or small can benefit from having and SSL installed. Contact our web team today to order your SSL cert. The increased threat of cyber hacking to websites has become a common occurrence. In the event that your website is hacked or compromised- all data, content, and client details are vulnerable. To ensure all data, content, and sensitive client data is not lost, a Backup and Restoration plan must be in place. Website Backup and Restoration is not only required for malicious data breaches but is also required for accidental data deletion and / or user error. At Innov8t, we provide a comprehensive Backup and Restoration Service that protects you against security breaches and/ or user errors. CONTACT our web team today to order your SSL Certificate today.